The need to rebuild, repair, operate and maintain our country’s infrastructure is, and always will be, an ongoing endeavor. The problem is that minorities, women, veterans and other groups are seldom the contractors or high-wage earners on infrastructure projects. Historically, the primary funding source for the U.S. Dept. of Transportation and its infrastructure projects is an 18.4¢-per-gallon gasoline tax and a 24.4¢-per-gallon tax on diesel fuel that millions of consumers pay at the pump. These taxes account for nearly $200 billion annually. In addition to the federal tax, states collect gasoline taxes that often are much higher, with some state rates adding as much as 57¢ per gallon to a fuel purchase. Couple these taxes with airport fees, tolls and so on, and we see that much of America’s infrastructure is supported by consumers—people who should have the right to participate in rebuilding it. The inclusion of all Americans must be a top priority for local, state and federal representatives and the companies awarded these contracts. On Wednesday, Oct. 11, 2017, a Transit Industry Supply Chain Connectivity Forum is being held for the purpose of bringing large transit original equipment manufacturers (OEMs) together with smaller, qualified and interested U.S. manufacturers in an effort to facilitate the use of a higher percentage of domestic suppliers in transit products and systems. The Forum offers a venue for smaller manufacturers to learn what products are needed and find out more about investments they need to consider when entering the transit industry. As part of the Forum, time will be allocated for ten-minute introductory, private meetings between participating OEMs and prospective suppliers. Participating suppliers can include both current transit industry suppliers, and potential new suppliers. OEMs currently confirmed to participate include: Alexander Dennis, Kiepe Electric Inc., Siemens, and United Rail, Inc. Others may be added at a later date. Some of the products the OEMs will be sourcing include: Wiring Harnesses, Driver’s Display, Wiper System, Variable Frequency Drives, DC-DC Converter, Switches, Suspension Components, Steering Column, Brakes & Brake Valves, Brake Pedals, Stanchions, Overhead Lighting Panels, Flooring, Passenger and Drivers Seating, Destination Signs, ADA Ramp, HVAC Systems, Bike Rack, Fire Suppression, High and Low Voltage Cable, Connectors, Terminals, Plugs, Sensors, Lugs, Relays, Latches, Hinges, Springs Filters, Headlights, Paint, and Design Services. This event is held in conjunction with the American Public Transportation Association’s (APTA) Annual Meeting and Expo, October 8-11, 2017 which will take place in the Georgia World Congress Center, Building C, Rooms C205 & C206, in Atlanta, Georgia. Partners for this event include the National Institute of Standards in Technology (NIST), Georgia Manufacturing Extension Partnership (GaMEP), and the Federal Transit Administration (FTA). Questions? 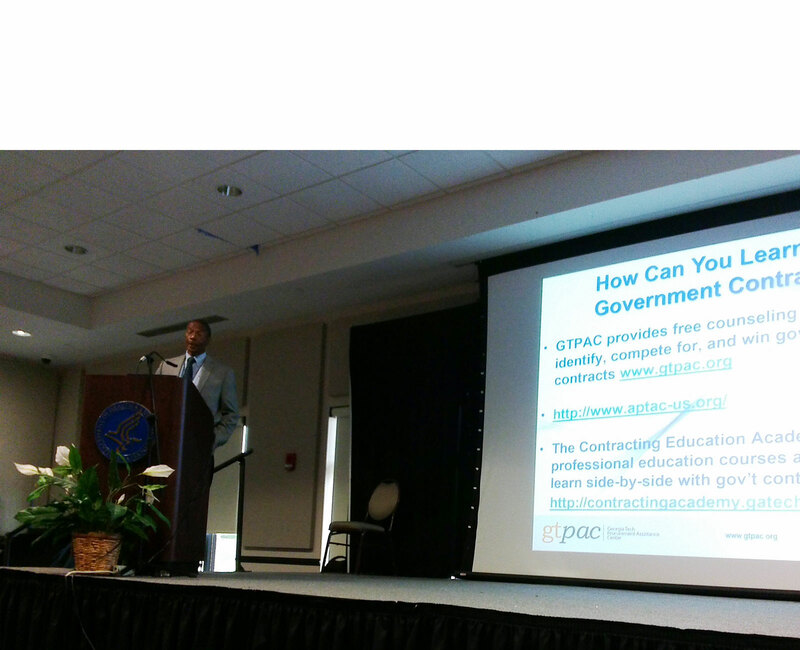 Contact Tim Israel, GaMEP Associate Director, at Tim.Israel@innovate.gatech.edu or 770-354-3809. A federal indictment has been unsealed in Philadelphia, charging Nazik Modawi and her husband Abboud Wali with conspiracy and bribery. According to allegations contained in the indictment, the defendants made two bribe payments in November through December 2016 to Southeastern Pennsylvania Transportation Authority (SEPTA) employees for the purpose of expediting their application for a certification from SEPTA’s disadvantaged business enterprise (DBE) program. SEPTA employees immediately reported the cash payments to authorities. The charge of conspiracy carry a maximum sentence of 5 years in prison and a $250,000 fine; charges of bribery concerning agencies receiving federal funds carry a maximum sentence of 10 years in prison and a $250,000 fine. The case was investigated by the Federal Bureau of Investigation and the United States Department of Transportation, Office of Inspector General, with assistance from the SEPTA Inspector General. It is being prosecuted by Assistant United States Attorney Denise S. Wolf of the U.S. Attorney’s Office for the Eastern District of Pennsylvania. With President-elect Trump’s promise to turn America’s crumbling infrastructure into an opportunity for accelerated economic growth, there are likely to be significant investments in the next four years in transportation, construction, and other similar projects. The new administration’s plans are likely to have a particularly big impact on the highway construction industry, which stands to ultimately receive billions in federally-financed dollars. State and local governments will be first in line to receive the funds so they can be trickled down to create thousands of new jobs. 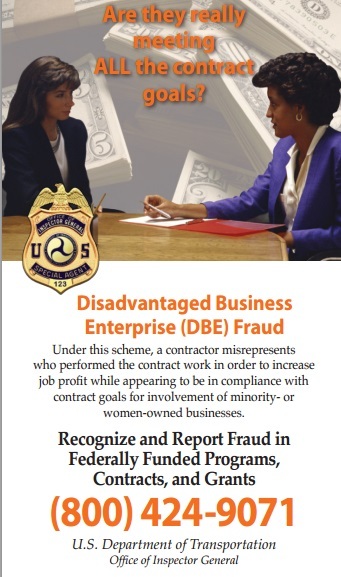 Those dollars will be filtered through prime contractors and their disadvantaged business enterprise (DBE) partners, which will be performing many of these federally-funded projects. 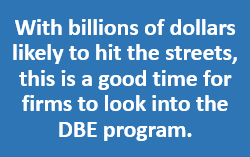 With billions of dollars likely to hit the streets, this is a good time for firms to look into the DBE program. While not as well-known as the Small Business Administration’s 8(a) and other small business programs, the Department of Transportation’s (DOT) DBE program has been around for some time. It was established by Congress in 1983 with legislation that required that at least 10 percent of the funds authorized for highway and transit federal financial assistance programs be expended with DBEs. The three agencies with those programs are the Federal Highway Administration, Federal Aviation Administration, and Federal Transit Administration. The construction industry should get a substantial lift in coming months, thanks to a newly enacted $1.14-trillion government-wide fiscal year 2016 spending measure that boosts most major federal construction accounts, with General Services Administration (GSA) and Dept. of Veterans Affairs (VA) programs scoring exceptional increases. But there were some funding cuts, such as in Environmental Protection Agency (EPA) water infrastructure, which was pared slightly. 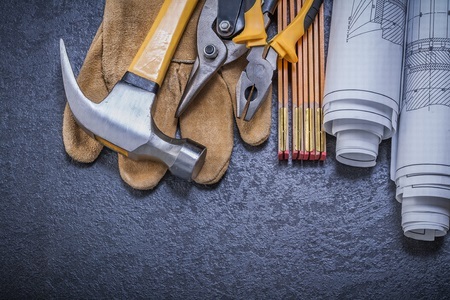 The giant appropriations bill was part of a package that also included extensions for a long list of tax incentives for individuals and businesses, including construction firms, with some items extended permanently. 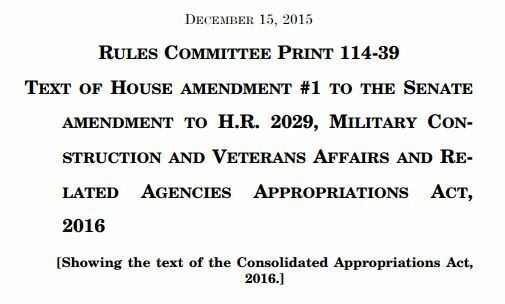 The “extenders” bill would cost the Treasury $622 billion over 10 years, the congressional Joint Committee on Taxation estimates.